We are full swing in the Gala & fundraising season & we are always proud to be on hand, on stage. It’s a time the Band really enjoys, as we feel an integral part of raising money for so many wonderful causes. When guests come up & tell us, they’re returning because they saw we were performing again, we know we’ve made a difference & a real contribution. At any time in history, the world can seem a terrible, frightening place & certainly there are lots of desperate problems today. However, it’s important to remember we often have the choice of supporting negative, aggressive efforts to force change or positive, affirming efforts with likeminded people, who join together to help as best we can. Post-Holiday wintertime in Chicago is the perfect time to hold your Gala Fundraiser. You might think the weather is a negative factor, but as long as the facility you choose is accessible by major roads, there is only going to be a very slight chance that the weather could effect attendance. On the contrary, most people are anxious to dress up, get out of the house & have some fun between January & May. We just finished a tremendously successful event last week. We have done it several years in a row & it’s always been good, but this year was the very best & our Client was ecstatic. What was the difference? They listened to our common advice for party planning: 1. Keep the party area as contained as possible. You may be in a venue with lots of distraction such as a museum, but make sure food & beverage is in the same room as the dancing. 2. Make sure your dance floor is small & directly in front of your music. People are uncomfortable with a large dance floor. 3. Hold the largest, most desirable gifts, raffle or prizes to the very end. This brings everyone together & builds excitement. 4. As soon as your raffle/awards are over, make sure you’ve coordinated with the entertainment & hit it immediately! Grab your guests & compel them to stay & party! They will go home & mark their calendars for next year’s event. This advise goes across the board for party planning. Maximize your potential for making a night your guests will never forget. Why do people want to come to your Fundraiser? If you’ve been a part of organizing a Fundraiser, there are a few things that become apparent: 1. It’s tremendously rewarding 2. It’s a lot of hard work 3. You need to create an event that people can’t resist attending. These days, the competition for charitable donors has never been more fierce. To involve yourself in the fundraising process, you have to passionately believe in the organization you’re raising money for & you have to communicate that imperative to donors. Generally speaking, people are generous if they can be. But, if you tap into that group of people who are in a position to give generously, they are on lots of charitable lists. That means they get invited to a lot of fundraising events. So, logically, they have to want to choose your event. That is where Entertainment can play a significant role. Last weekend we played a beautiful Hospital Ball. We’ve been performing at this event for many years. I lost count of the number of people that approached me & said “When we see your name on the invitation, we mark our calendar. We know we’re going to have a fabulous night!” The dollars spent in investing in great music are returned in attendance & those people attending are likely to donate. They’re also likely to tell others about the party or bring others with them the following year. It’s a pretty simple equation. Why do people come to your Fundraiser? It’s an annual event they just don’t want to miss. What to do, see & listen to, during the Holidays! No matter where you live in the United States, there is a holiday to celebrate in the next few weeks. This is a time when friends, family & colleagues take a moment to gather & enjoy whatever relationship they share. Most of the time, this includes a party of some kind. The background of that event is the great unifier: music. By mid-December, you may be getting a bit tired of hearing Bing Crosby sing “White Christmas” or contemplate stuffing something into those sleigh bells to stop them ringing, but it’s the music that, so often, is responsible for putting us in the mood. The holidays also include many wonderful live performance choices, especially if you live in a vital metropolitan area like Chicago. You have so many choices, that it can be hard to decide what to enjoy! The Nutcracker, holiday shows by Chicago Ac Capella, the Chicago Symphony Welcome Yule, many & various productions of The Christmas Carol; the list is extensive & tremendous. We encourage you to turn off the television, leave the confines of your living room, brave the elements & treat yourself to a few nights of real, live entertainment. And, of course, we wish you the Happiest of Holidays & a new year filled with love, peace and best of all, live music. Who doesn’t love a summer party? The gardens are in bloom, the temperatures balmy, everything is green & your clothes are light weight. I certainly don’t want to rain on anyone’s parade, but if you’re thinking this is the perfect time to have your event, let me alert you to a few of the pitfalls that can sabotage a summer party: First, is the heat. There are never any guarantees on the weather, but if it’s over ninety degrees & your facility has no air conditioning, you’re going to have uncomfortable & unhappy guests. I know this seems obvious, but you have NO idea how many times a dewey-eyed bride will say “But, I’ve always dreamed of having my wedding in a barn!” Those dreams can lead to heat stroke & ruined suits. It’s not very romantic but there it is. On a related note, if you’re outside in a garden, forest preserve, lake or country club, you have to consider the bugs. They like a party as much as the next person. But the next person may be your Aunt Edna & she’s allergic to bee stings! A third booby trap of the beautiful setting, is it can separate your guests. Put a bar outside & half the people will go there, never to come in again. If you want cohesive, enthusiastic partying & dancing, you need the whole crowd joining in, so you want to keep them together. If you plan ahead, considering some of these challenges which may relate to your choice of venue, then you can avoid these pitfalls & have the perfect party. & without a doubt, everyone loves a summer party. Have you ever been to a GREAT party? One thing that really gets me, is losing a client to a D.J.. Don’t get me wrong. Our company created D.J.’s in Chicago. There was no such animal. When we went to advertise, there was no category for us. The whole reason we started down that road, was to accommodate the client that didn’t have the budget for Live Music. How times have changed. Obviously, the economical reason to use a D.J. instead of a great band still exists. However, it’s the client (usually in their 20’s) who tells me that they have decided to go with a D.J., not because of budget, but because their friends tell them “Don’t get a Band! A D.J. is SO MUCH better!”, that makes me sigh with sincere disappointment. It wasn’t until recently, that it dawned on me: We have never performed at a bad party. Our party’s are FABULOUS. Have these friends, whose opinion’s are so important to my client’s, ever been to a GREAT party? In fact, if you are in your 20’s, how many parties have you been to? Have you been to thousands? Because, I have. I am willing to bet that my client’s friends have been to two or three weddings, at the most. & of those two or three, how many had Live Music? Maybe one. Maybe. This is not a wise & experienced advisor. I love what I do. I am so proud of the job we do, from the first contact with prospective clients, to the cries of “Encore” & “One more! !” at the end of another GREAT party. Our office staff is expert, pleasant & helpful, our musicians are the best, our Vocalists world class. We give you our all. & we promise you a GREAT party. What’s been happening in the New Year of 2015! Beside lot’s of snow in January, which we had to expect, we had one very nice surprise! For those of you planning an event in the Southwest Suburbs, you may want to take a look at The Empress in Addison. We were involved in planning a fourth wedding for a family that liked to do things Big. When they informed us they had chosen The Empress, we were surprised & a little worried. We hadn’t been there in many, many years. There is usually a reason for that! How could they accommodate the “Big Plans” of this family we knew so well & how could they handle the needs of our “big” production? The answer was: extremely well. The staff was great to work with from beginning to end, with an accurate grasp of what the client envisioned. What they produced for them was elegant & top drawer. & they didn’t have so many of the inconveniences of having to go Downtown to get the kind of wedding they wanted. They were also able to give us the stage size, power & other production items important to us. Overall, it was a delightful experience for everyone & at the end of the night, we were all happy! 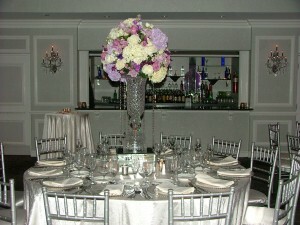 Planning a function in Southwest Chicagoland? Consider The Empress. Hard Rockin’ at the Cafe! 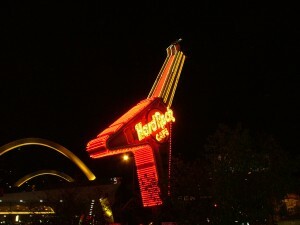 You can find a Hard Rock Café in many major cities & they are great fun to visit, especially if you’re a tourist in a new place. If you haven’t been to one, they are usually located where everything is happening, filled with Rock ‘N Roll memorabilia, multi-leveled & have great food. They’re also set up for Live Performances, with a nice sized stage & professional in-house sound. The restaurant chain is so popular, you may not think of this facility for a private party. However, in Chicago, we can highly recommend just that! The location is perfect, situated in the heart of the happening part of town. The facility itself is perfectly suited for any type of event you’d like to host, from semi-private to securing the entire place, even on a Saturday night! We find the staff knowledgeable, friendly & accommodating. The in-house sound is excellent & the layout perfect for enjoying the stage & having lots of room for people to move about or sit & enjoy the Show. It’s a great place to consider, if you want an exciting, happening & fun place for your next meeting or reception in Chicago! We hope to see you there! I always love coming back to the Palmer House. It’s as if I’ve taken the Concorde to Europe for the evening. Relaxing for a moment in the lobby is like being asked to lounge in a Palace of Versailles salon. Such hotels are important to a city, preserving it’s history & helping maintain the sense of continuity that makes people want to return. Each of the event sites within the hotel are quite unique. We’ve had rocking Corporate blow outs in the Grand Ballroom, elegant Wedding Receptions in the Red Lacquer Room & quirky avant-garde Networking events in the Empire Room. We’ve produced quite a bit of Name Entertainment in each of the ballrooms over the years. It’s such a huge & versatile place. & at the end of the night, you can sit down & simply people watch in that incredible lobby. Our work generally takes us to the wee hours & even at this time, the lobby is still full of guests, visitors, sightseers & revelers. We’ll be there this weekend & I can’t wait. It’s a reminder of what I love about Chicago & the city that’s made it possible for me to make a living, doing what I love to do. Maybe I’ll see you there! Live a little this summer with LIVE music!! Throughout the summer in the Chicagoland area, you will find it hard to find a community or neighborhood that does NOT offer free concerts at a local park or square. Taking advantage of this tremendous opportunity, entails putting on pants & a shirt & leaving your front room. It’s really pretty easy. Grab your lawn chair, a blanket & your good vibes & take them out to enjoy a night of entertainment, while there’s still live entertainment to enjoy. More importantly, if you have kids, take THEM out to see live musicians & performers! Sadly, people in their twenties come up to me after a Show & say: “That was AWESOME!! I’ve never seen a live band.” This is a serious loss for society. Music & art bind us & fill the gaps between language, culture & color. It communicates when no other communication is possible. So I strongly encourage you, before the summer is over: turn off your big screen TV. Walk through your neighborhood. Maybe say hello to your neighbors. Take a young person out to see real people playing real music. & ENJOY!